Recently I had the opportunity to try some wonderful argan oil beauty products from Argan Place. If you're not familar with argan oil, it's the latest all natural beauty oil everyone is raving about for it's amazing moisturizing and glowing properties. It really gives you that beautiful glow from within without the toxic chemicals in other beauty products you might find in drug and department stores. If you haven't tried argan oil yet, I highly recommend it. Yes, you can even use argn oil if you have oily/acne prone skin. It is truely a natural wonder and amzing product. It's great for all skin types and can replace your regular moisturizer and/or beauty serum for day or night. It is 100% natural and toxic free so you can feel good about using it or buying it for loved ones. Here is my review on the argan oil beauty products from Argan Place. 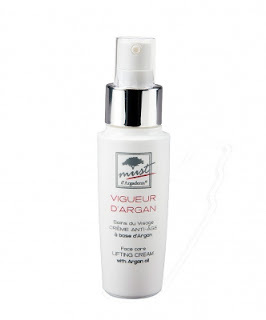 VIGUEUR D'ARGAN is a lifting and firming cream that restores skin elasticity, boosts cell growth, renews skin plumpness and reduces appearance of fine lines. The continual use of this anti-wrinkle cream can gradually rejuvenate the tone and texture of your skin to leave you long lasting effects. Benefits: It restores skin hydration and moisture, recaptures skin’s natural elasticity, prevents wrinkling and crumpling of skin and promotes soft, supple, satin-smooth skin. I absolutely love this lifting cream! It goes on silky smoothe and left my skin feeling ultra hydrated and lifted while reducing the look of pores, fine lines and wrinkles but never broke me out. It retails for $26 and you can buy yours here. 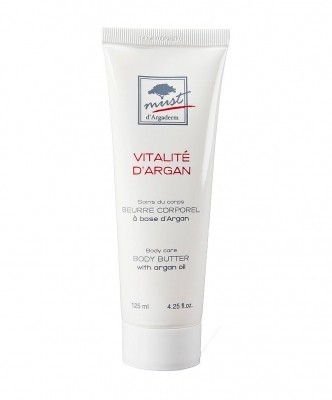 VITALITE D' ARGAN is a luscious and rich body butter made from Argan Oil. It's an intensive, creamy all-over body moisturizer that absorbs into the skin easily, helping to condition, soften and smooth the skin and prevent dryness. In addition to soothing dry skin on hands, elbows, knees and feet, it can also be used as a cuticle cream , massaged into dry areas of the scalp, dabbed on as en eye cream, and used as a soothing balm after shaving and waxing. Benefits: The butter generated from Argan oil is known as one of nature’s greatest moisturisers, softening the skin and establishing balm after shaving and anti-drying barrier. I really like this body butter! It left my skin very soft and smoothe yet hydrated at the same time. You can use it just about anywhere you need to moisture or need added hydration. It retails for $19 and you can buy yours here. Have been using Argan Oil for my hair and skin. Now I have got damage free hair, and much better skin before.